As of this moment when I am writing this sentence, I am in Georgia. I drove east from Nashville into the heart of the American Southeast and watched the sides of the highway fill up with those shapely Georgia pine trees. So I know that I’m definitely in Georgia. Unless I don’t. Sometimes I forget where I am. Maybe I’m just in the East Bay where it also gets hot and there are a lot of trees. Maybe I just took the BART train one too many stops and got off in Orinda and started calling it Georgia like a crazy person. Luckily, I made myself a checklist of ways to determine if I’m in Georgia. If you ever find yourself in this kind of situation, feel free to use this list. If you check off 5 or more of these, then you’re probably in Georgia or at least the Southeast portion of the United States or I’ll eat my socks. You know you’re in Georgia when…. 1. There are more deer, fireflies, squirrels and frogs than people. 2. Liquor stores are called package stores, which causes some people to think of genitalia and giggle. 3. When you accidentally oversleep and end up going for a run at 9:30 on a July morning, the experience is equal to being burned with the heat of a million suns while running in a sauna and choking down steam. 4. The trees are taller than 5 tall men stacked on top of each other. 5. There are more American flags than people and one on every porch. 6. American flags and colors are suitable for decoration in the months preceding and following the 4th of July. 7. Cheese sauce (also known as queso) accompanies salsa at Mexican restaurants. 8. You can say hi to the people on the street without seeming like a creep. They are friendly and will respond positively. 9. Front porches are everywhere and they’re filled with furniture. 10. Kudzo (an invasive plant that looks like ivy) is everywhere, and it is unstoppable. Longterm, it’s probably a more worrisome enemy than many other countries and militant groups. 11. The chicken biscuit reigns king. 12. Chick-fil-a has a presence in the local Kroger. 13. The forecast for every day in July is humid with a chance of thunderstorms and a 100% chance of y’all. 14. Maybe it’s the heat, maybe it’s the humidity, but something about the place seems timeless, like you could buy a home here and live forever while the world spins around you. 16. Peach lore and Civil War generals make up 90% of local nomenclature. You might want to hate it. You might want to love it. At the very least, you should sit on the front porch and enjoy a chicken biscuit. If you turn out to be in Orinda, take a walk and then head home, friend. 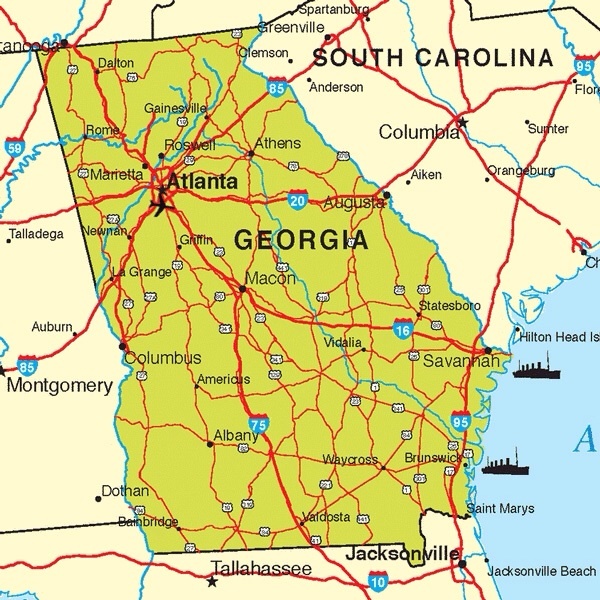 Georgia will await you another time. Amen to this. For years we used to drive down to Florida every January, and Georgia always felt like we were on another planet. A very large planet that took a long time to get through.